Home > The 1960s > What Was Merseybeat? Liverpool and the area around it, has always been a little different, with its own humour, its own distinctive accent and attitude. In the 1950s it seemed to take to rock’n’roll more fiercely than most places in Britain and hew a sound that was unique. Merseybeat, as it became known, became the sound that won over Britain and the world. 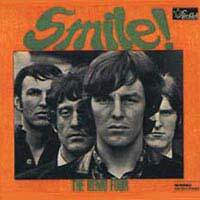 Two guitars, bass and drums made up the typical Merseybeat combo, with two of the instrumentalists singing and harmonising for a fuller, richer vocal sound. There was often no single front person (or girl – there were also girl groups on Merseyside), so the members were very much equal. The hard edge of rock would be tempered by the vocal harmonies. According to some sources, there were literally hundreds of groups in the area – over 300, according to one knowledgeable estimate. It was one of the few areas that offered plenty of venues, known locally as “jive hives,” where teenagers could go and listen to live bands (alcohol wasn’t served), although there was plenty of competition among bands who wanted to play. It really began in 1958, as skiffle faded and rock’n’roll took over, and bands traded in their acoustic instruments for electric guitars and amplifiers, ushering in the age of the “beat group.” Some say that, as Liverpool was a thriving port city, many there had access to American records brought back by sailors; others deny it. Whatever the reason, there was a huge love of this new music, and probably the most vital music scene in the country, although it was ignored in London. That gave it a chance to grow naturally and mature. As a sign of its development, the music scene even had its own newspaper to chronicle events. Perhaps the hub of it all was the Cavern Club, a former jazz venue that now hosted rock, its lunchtime concerts a particular favourite with young city workers, and famous now for having hosted the Beatles so often. Think Merseybeat and you inevitably think Beatles. But they were one among so many, and according to a number of involved locals, they weren’t even the best. The Remo Four, the Swinging Blue Jeans, the Undertakers, the Merseybeats, the Clayton Squares and Freddy Starr and the Midnighters were among the many others all toiling away. The Beatles were lucky, really, with a manager who used his contacts in the music business to push them. But once they broke the dam with a hit single, record labels descended on Liverpool, determined to sign up any talent they could find. There was plenty there, and virtually all of it ready to record. The Beatles’ manager, Brian Epstein, handled several other acts himself, and his clout saw many of them have hit singles, such as Billy J. Kramer and Cilla Black (sometimes with material written by Lennon and McCartney). The problem was that success ruined Merseybeat. Pulled into the spotlight, with the eyes of the country, and then the world on it, its main talent signed up, the local scene was plunged back into darkness. It had thrived as live music with plenty of energy, and in the studio many artists just couldn’t produce the goods – nor did they have the ability to write their own, credible material. So they faded away. A few, like the Searchers, did survive, along with the Beatles, of course, but for the majority, obscurity was the destination. As music, spurred by their hometown heroes, forged ahead, the Merseybeat scene declined and died.